A website is the beating heart and central hub of a business' digital marketing efforts. It needs to be a strong reflection of the brand and provide users with a clear path to their goals. Our web designers and developers excel in building custom experiences to meet those goals, and drive revenue through lead generation, search engine optimization (SEO), and enhanced brand visibility. Whatever the goal, our team collaborates with clients to develop a website that their brands and users deserve. 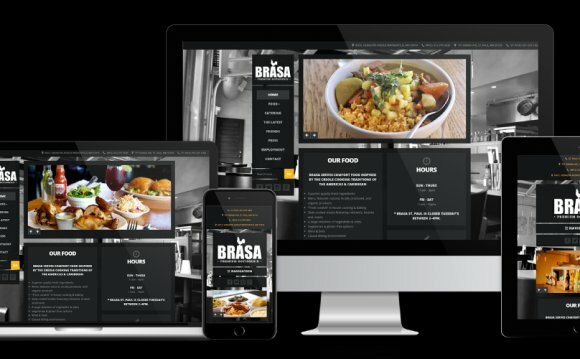 We are Minneapolis-based leaders in responsive web design (RWD) — a web design and development technique that allows our developers to build future-proof web experiences. Our responsive design expertise provides the structural foundation for a beautiful website across all platforms: mobile, tablet and desktop. RWD is just the beginning of our web development services. We don’t leave anything to chance and tailor our website builds to each client’s taste and budget. Our design and development teams partner with the client to provide strategic approaches to content strategy, SEO, and content management system (CMS) decisions. Spyder Trap isn’t interested in just providing clients with a finished website — we’re interested in providing a roadmap to long-term digital success.